The roots of this Asian shrub, distantly related to ginseng, are one of the top adaptogens nad have been in use for over 2000 years. Eleuthero root may help to promote the body’s natural ability to manage stress while increasing endurance. * Extensive clinical studies have shown that eleuthero root may enhance mental acuity, without the letdown that comes with caffeinated products. * These carefully-crafted capsules contain a rich 5:1 extract, and come in 30 or 60 capsule bottles. Take no more than 3 at a time. 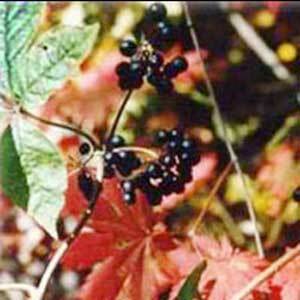 Eleuthero root (“Siberian ginseng”) is one of the ingredients in the popular Cognihance product. If using prescription medications, seek the advice of a health care professional before using this product. Not to be taken during pregnancy or if breastfeeding without consulting a health care professional. Not intended for sale to persons under the age of 18 years. Keep out of reach of children.